Refugees who came ashore in boats at Britain’s Akrotiri military base in Cyprus last month are pleading to be freed from the camp where they are now being held, it has emerged. The originally Greek-bound boats foundered off Cyprus and were towed ashore on October 21. 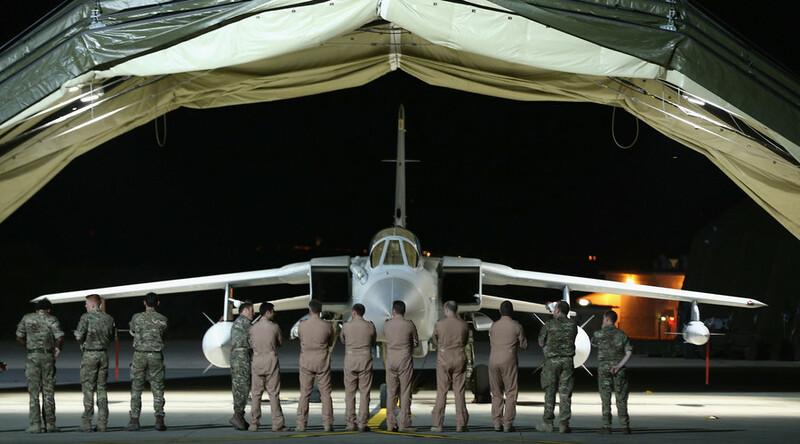 Images from the tent-filled enclosure at RAF Dhekelia appear to show a series of protests against the security regime in the makeshift holding area. Police can be seen intervening in instances of resistance. There is also footage of refugee children complaining they have no shoes. In what appears to be mobile phone video footage, first published by The Guardian on Tuesday, there is evidence of injuries among refugees. Concerned police officers can also be seen watching refugees scale fences. The 114 refugees who landed at the Akrotiri airbase are mostly Syrians, although there are also a number of Lebanese and Palestinians. There are reported to be 28 children in the group. A tent was burned down at the camp on Saturday, apparently also in protest at continued detention. In the new footage, one man is shown perched on top of a perimeter shouting “let us leave” as a crowd of police and other refugees look on. Another man yells “we are people, not animals” as police try to calm him down. A young boy sitting outside a tent says the refugees could barely leave their makeshift accommodation due to low temperatures, adding all he has to wear on his feet are flip-flops. In another shot, a man with a bloodied face and hand speaks to a translator while a police officer looks on. “We have asked for journalists to be here. Why are you keeping us hidden?” he demands to know. Footage also shows an apparent riot situation inside a building. One man scales an internal structure and pretends to hang himself using white sheets. “We are aware of a small number of incidents at the temporary accommodation facility,” a Ministry of Defence (MoD) spokesman said in a statement. The arrival of the refugees initially caused a row between UK and Cypriot authorities over whose jurisdiction the newcomers fell under. 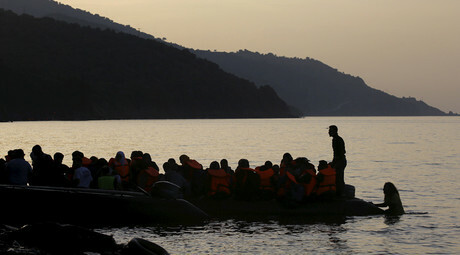 Cyprus has since agreed to process the group’s asylum applications.